Is Your Programmable Thermostat Reading Properly? | Quinnair Heating & Air Conditioning Inc.
Is Your Programmable Thermostat Reading Properly? 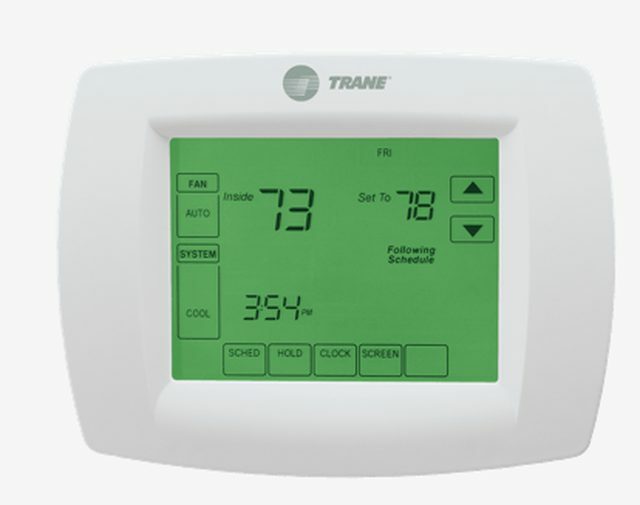 Home / Blog / Is Your Programmable Thermostat Reading Properly? If your thermostat is not doing its job as it should, it may not be reading accurately. One of the most common symptoms of this is when your home often feels too cold or too hot even when the temperature setting on the thermostat says it should be comfortable. 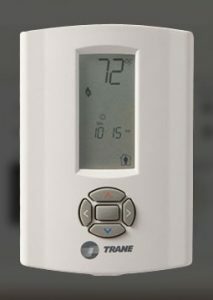 Thermostat malfunctions like this can significantly impact the HVAC system cycling, make it harder to maintain a comfortable temperature and increase your power bills. Here are some common problems and solutions to help your thermostat do its job correctly. Dirty is never good news. If your system suddenly shuts off, it is time to clean dirty components. Pop off the cover, gently dust the interior with a soft brush to get rid of dust, debris, and soot inside the device. Next, use an electrical contact cleaner on a cotton swab to eliminate any corrosion from the metal contacts. If the sensor is out of whack, it won’t read correctly, thus the room temperature and temperature setting don’t match. Try recalibrating the thermostat to fix this issue, and if it doesn’t work, you will need to replace it. To accurately monitor the temperature in your home, the thermostat must be placed in a central location that is out of direct sunlight, away from drafts, HVAC air vents, and heat sources. Make sure to hire experts to relocate your thermostat. Older, mercury thermostats may not read an accurate room temperature if they get bumped and knocked off level. Place a level just above the unit and make any needed adjustments to see if there’s any improvement in accuracy. If this doesn’t solve the problem, consider upgrading the device. A sign that your thermostat has come to the end of its lifespan is malfunctioning. You can upgrade to a programmable or Wi-Fi model with the latest convenient features designed to optimize HVAC efficiency and help you save energy. Programmable thermostats are energy saving tools, but when malfunctioning, it will generate the opposite. At Quinnair, our goal is to help our customers in Colorado to keep their HVAC systems working at its best. Contact us to get your thermostat repair or replaced. We can also repair the entire HVAC system.